Thank you so much to everybody who entered my recent Betrousse Absolutely Fabulous Beauty Kit Giveaway. The giveaway had a phenomenal response and there seemed to be a diverse range of people entering. This giveaway was open to everybody in the UK and it proved to be very popular, with many compers and bloggers from around the country taking part. Running this giveaway was a great experience and I have been inspired to run more giveaways on my blog very soon! I do enjoy all of the excitement of a good giveaway and it's also a great way to say a little 'thank you' to all of my lovely followers for supporting my blog! 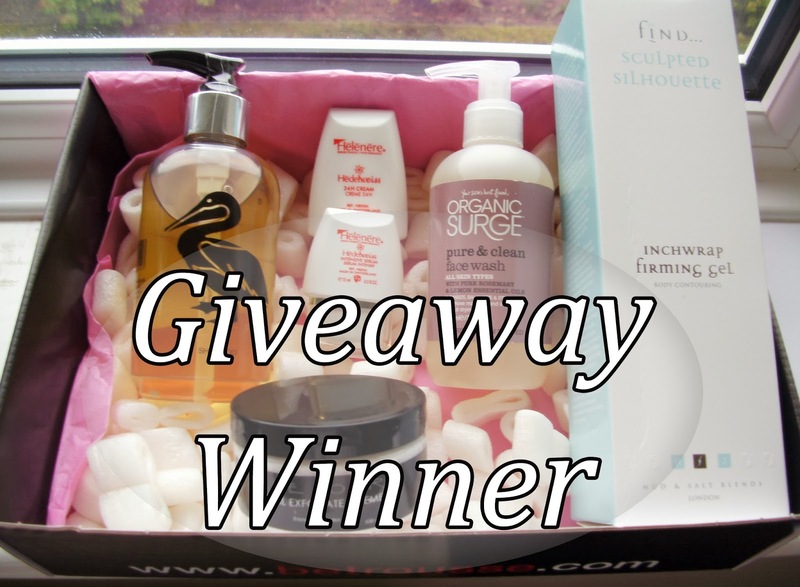 I also have to say a big thank you to Betrousse because this is the second time that they have kindly asked me to giveaway one of their lovely beauty kits via The Miss Beauty Saver Blog to one of my lovely followers and it's always a pleasure working with Betrousse and discovering their beauty kits is always a wonderful experience too! The giveaway closed on Sunday @ 12am, the winner was picked yesterday with Rafflecopter via random.org and I am now ready to announce the winner in this special blog post! I will also be contacting the winner directly via the email address they used to enter with as soon as this blog post goes live! (Approximately 7pm on 17/02/2014).